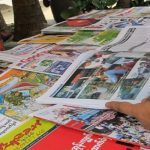 Progressive Voice » Investing in Mon State? How beneficial is the new policy of encouraging investment in Myanmar’s Mon state? Such announcements, however, appear undeterred by the many ongoing conflicts around investments across the country. For people living on the ground, such statements are difficult to square with their daily realities. The implications of the recent surge in investments are especially the case for those affected by projects that target “land” and so-called “unexplored resources”. Many communities in Mon State are deeply worried. Indeed, across town from where Aung San Suu Kyi was delivering her Mawlamyine speech last June, a workshop brought together coastal and inland villagers as well as civil society organisations that are working in Mon State. Here the tone and approach to investments was markedly different. In the view of participants, many of these investments – far from securing development – have been a destructive force. Access to – and control of – the natural resources upon which their livelihoods depend are being radically reshaped by these new projects. 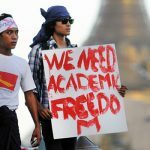 Equally concerning, people are increasingly fearful for their lives as a result of their resistance towards the very same investments that the State Counsellor is urging them to welcome. As a result, views of the role of investments in Mon State have become more polarised as the territory has been opened up to increased investment. This polarization, participants at the workshop stressed, has been exacerbated with the signing by the New Mon State Party (NMSP) of the Nationwide Ceasefire Agreement with the government in February 2018.5 The consequences for local communities have been profound. Today villagers find themselves fighting against coalitions of either the union government and the business “cronies” or the NMSP and the business “cronies”. In short, they are without representation and very often have to fend for themselves. In response, valiant attempts at organizing and mobilizing around an alternative vision of development are taking place. But the question remains as to whether these can keep pace with the steady stream of projects that are flooding into the state. In this light, the inspection plans by the Mon State Parliament are timely and appear as good news. There is certainly plenty to dig into. They talk about peace, but what is behind that? Such words, however, do not convey the whole story. In reality, this “invitation” was backed up by tangible pressures from the military government, very often in coalition with the authorities in neighbouring Thailand. For the NMSP, the pressure from Thailand was especially palpable. Following the ending of the Cold War, the Thai government radically shifted its strategies towards neighbouring states, pursuing an aim of turning “battlefields into market places”. In Myanmar, this paved the way for a series of economic projects that were intended to unfold close to, or inside, NMSP territory. 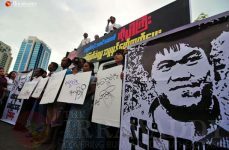 As a result, the Thai government took part in pressuring the NMSP to the negotiation table. This approach was a change from its historical tacit acceptance or support for the EAOs along the border. In the post-Cold War era, the economic benefits of integrating these borderland spaces into the regional circuits of capital outweighed political considerations that had been uppermost in the past. At this moment of change, the NMSP’s unwillingness to enter into negotiations with the military government in Myanmar were seen by the authorities in Thailand as a hindrance to these economic projects. In consequence, the Thai military applied pressure on Mon communities in the borderlands by threatening to force 10,000 refugees back into NMSP-administered territory just at the very moment the Myanmar armed forces were also exerting pressures on EAOs on the other side of the frontier. Finally, the fall of the headquarters of the Karen National Union further north on the Thai border in early 1995 helped convince the NMSP of the need for negotiation. This led to the conclusion of the NMSP ceasefire with the Myanmar government on 29 June 1995. With the signing of the ceasefire agreement, the NMSP’s territorial control was radically curtailed. In the following years, the organisation largely shifted its strategy towards education of the Mon people and supporting different community development projects, while attempting to promote political change in the country at large. In terms of political reform, it was a long and largely vain wait. 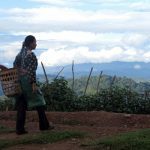 For communities on the ground in Mon State and throughout the country, these arbitrary and unregulated processes of change have been felt by a wave of new extractive and exploitative projects by which business cronies are gaining access to all types of natural resources. At the same time, they are disrupting and destroying livelihoods and previous modes of existence for many peoples. While the NMSP’s signing of the Nationwide Ceasefire Agreement was celebrated at an official press conference in Nay Pyi Taw, it tragically seems that the main beneficiaries of these government changes so far have been the cronies. Under this new situation, both the Union Government and the NMSP seem eager to link up with the cronies, but with unconsidered and dire consequences for local villagers. Mon resources: for lives and livelihoods or profit? One contemporary case is a cluster of villages around Magyi, Ye township, in the southernmost part of the coast in Mon State. For decades, this area was characterized by the military government as a “black area”. In official-speak, this means not under central control and, as a result, fair game for military intervention and human rights abuses towards villagers who are suspected of allegiance toward the NMSP.13 Despite the NMSP’s 1995 ceasefire and NCA signing, however, villagers here are still under pressure from both the Myanmar armed forces and an armed NMSP-splinter group that regularly takes villagers as hostages for ransom. This happens if they manage to capture anyone alone or in small groups in their cash-crop gardens around the villages. 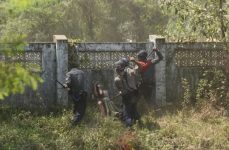 Many parts of Myanmar remain highly militarised today. Having said this, the general landscape in Mon State and adjoining territories in southeast Myanmar is more peaceful than it was before the EAO ceasefires. This has come at a cost, however, because “peace” has meant an increasing pressure from cronies and powerful business interests who want to gain access to land and natural resources in and around the villages. Historically, the livelihoods of local peoples have been diverse, consisting of a combination of small-scale agriculture and fishing for personal consumption as well as for sale in markets: for example, betel nut, rubber and shrimps. Their livelihoods are therefore multi-sectoral, relying on access to land, sea and surrounding water-sources. Particularly important for local livelihoods is a mountain in southern Magyi village. It is also very important for cultural reasons. Both are now under threat. For the past year, the so-called “Excellent Fortune Development” group has been attempting to start up a stone mining project on Mount Bleh Patoi.14 This has created tensions within and between local villages. Some villagers have been willing to sell off their lands in expectation of future jobs. As a former village administrator put it: “We’ve been underdeveloped for years. We’ve never dreamed of a developed society. The company has informed us that this stone mining project on the mountain will do no harm to the villagers. 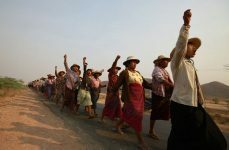 We’ve accepted their proposal because we want development such as roads, electricity, health, and education services.”15 In contrast, other villagers, led by Buddhist monks from the local monastery, are firm in their opposition to the project. Their belief is that the destruction of the mountain by the mining project will, in turn, destroy the basis of their communities, lives and livelihoods. The mining project is not alone. The conflict around the mining project is unfolding in the context of other resource-grabs that are targeting the coastline and three islands lying offshore (pictured in figure 1). Varying constellations of the Myanmar armed forces, the NMSP and different business cronies have been working together with the village tract leader, gradually taking over the coastline. In consequence, today there is only land immediately off the coast of Magyi that is available for people to live on – everywhere else has already been sold off. For the moment, nothing has been built, but rumours continue that a “zoning plan” already exists for the entire coastline, dividing the area into different uses (e.g. for tourism or industry) with no space allocated for the current livelihoods of the 50-household fishing community that already lives there. This small snap-shot of dynamics around Magyi mirrors processes up and down the coast in Mon State, where land and natural resources are increasingly coveted for extractive purposes and combinations of conservation and tourism. Unfortunately, while the land and natural resources are coveted, the people living there are not. This is not the limit of pressures on local communities. The current conflicts over land and natural resources need to be seen in the context of the broader, breakneck speed of land reform within the country. In particular, amendments to land laws being introduced by the government are putting pressures on local villagers to register their land which, otherwise, will be deemed “Virgin, Fallow and Vacant” and thus confiscated from them. This has put villagers in a complicated situation throughout the country, particularly those displaced from their homes or in areas where customary land ownership is practised. Equally inconsistent, this practice does not fit into the model of individual ownership that land reforms are supposed to spur on. Yet, if land is not registered, people fear that they will lose their lands, rights and property. Such dilemmas are particularly pertinent in areas like Magyi where there are many competing claims to the use and control of land. As experiences around the world have shown, having government-recognized land use is by no means a guarantee against land grabs by more powerful outside actors. An alternative vision, however, takes time and requires broad public debate on what role investments can play in ameliorating the social and economic conditions for people who live in very different contexts and settings both in Mon State and across the rest of the country. Hopefully, in Mon State the process that has now been initiated by the Economic Affairs Reviewing Committee of the regional Parliament can be a tool to halt investments that are currently creating division within and between villages. This could allow for people to debate – and decide – what role they want for investments in their villages, if any. This is a critical moment of political and economic transition in Myanmar, and it is vital that this opportunity for building trust and reconciliation is not lost. MACDO is a community-based organisation working primarily in southern Mon State in support of community mobilisation and organisation for development. Mads Barbesgaard is a researcher with TNI’s Myanmar in Focus and Agrarian & Environmental Justice Programs. 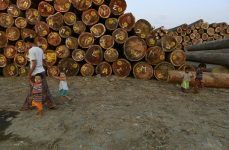 The commentary is product and part of ongoing action-research collaboration between MACDO and TNI focusing in particular on shifts in access to, and control of, natural resources under Myanmar’s contemporary transition. View this original commentary HERE.